Ukrainian cement bag producer, Pamibro, has recently installed a second paper bag line from German equipment suppler, Windmöller & Hölscher (W&H). The system comprises an AM 8125 tuber, an AD 8320 bottomer, two TRANSYSTEMS automated material flow systems, and an ARCOMAT 3 palletiser. Pamibro’s original W&H paper bag was installed just over a decade ago in 2007. It continues to operate, helping Palibro supply markets well beyond Ukraine’s borders, including Russia, Kazakhstan, Belarus, Moldova, the Baltics, and the Czech Republic. 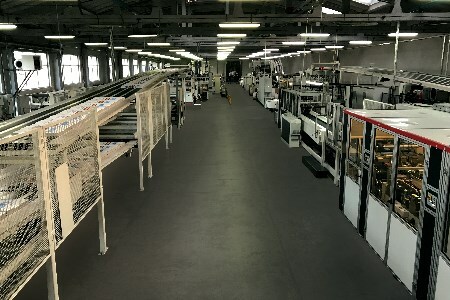 Italy, Poland and other EU nations are also growing markets for the Broshniv-based company.